Over my 14 years of training dogs I have seen many people attempting to walk their dog on a harness. I have seen badly behaved, out of control dogs wearing a harness drag their owners over to a passing person and dog and proceed to jump up on them while the owner is some distance behind holding on for dear life, shouting their dog to get down (something which annoys me….but I’ll leave that for next time). Now don’t get me wrong I’ve seen this behaviour from dogs wearing collars too, but the difference with dogs wearing a collar is that owners have much more control and are able to get the dogs away much quicker and more effectively. Look at horses, big powerful, strong animals….why aren’t they taken out on harness’s? because there isn’t control. I believe if you have control of a dogs head then you have control of the rest of it’s body. 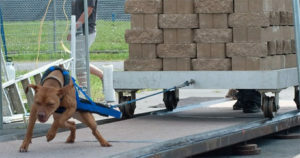 Harness’s encourage pulling. 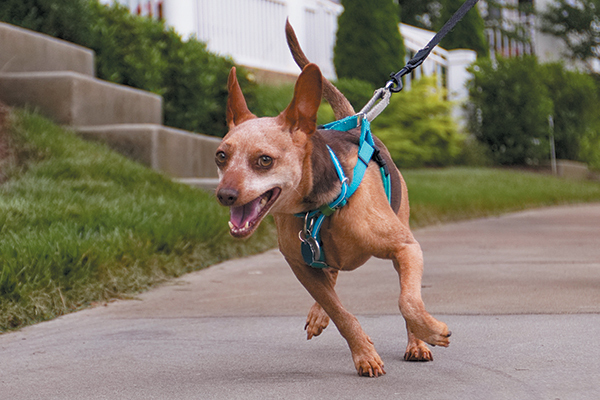 I ask people why they choose a harness over a collar and apart from the (incorrect) answer of “I have more control” the most popular answer is “I don’t want my dog to hurt it’s neck.” Before writing this blog I did a quick Google search on the pros and cons of a harness, this was a recurring point that kept coming up: “Because a harness secures around the dog’s body and distributes the pulling force on stronger parts of the dog’s anatomy, the likelihood of injury on the neck, spine, and windpipe are greatly reduced” Now I understand this point, yes a harness does spread the pulling force across shoulders, chest and back but in my opinion these are 3 very strong areas of a dog which the dog can now use and lean into, creating a stronger pull on the lead. 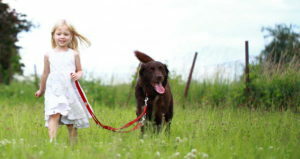 What will prevent any injury to a dogs neck is teaching the dog, through positive reinforcement, reward based training how to walk nicely on a collar and lead. 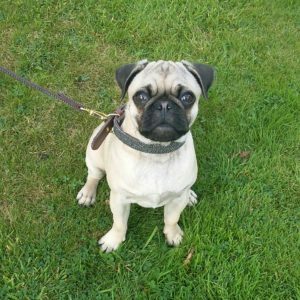 I have taught many brachycephalic breeds such as Pugs, French Bulldogs and Boxers and some of those really do have breathing issues and you need to be careful of their necks but I’ve never used a harness. The number of 8 week old puppy owners who come to me with their puppy on a harness is insane, at that young age when all the puppy wants to do is be with you and please you, you should take advantage of that and start loose lead training. I was recently handed a 9 month old, male, Staffordshire Bull Terrier, on a harness, this dog had had no training whatsoever and I hung on for dear life as he put all his weight into the harness and dragged me down the road. Unluckily for me, a person and dog was walking towards us and he was off to see them, nothing was stopping him getting there. Now I’m a strong person and I really put some effort into stopping him and having him walk a different direction, I wanted to turn his head away from what he was focussed on and have him look at me so I could distract him, but with the harness I had no way on engaging his face, the only option was to turn the entire dogs body away which physically was not possible as he was in full on pulling mode. 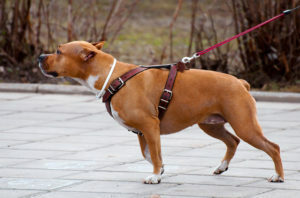 Another disadvantage of a harness is they can cause skin irritation and chaffing in shorthaired breeds, I have seen many dogs with incredibly sore patches under their legs (armpits) where the harness has rubbed and the dog has pulled against it. 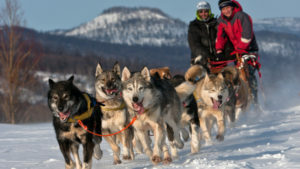 Unless you have a Husky and you want him to pull a sleigh, or you are taking part in weight pulling competitions with your Staffie then trust me you don’t need a harness! Just wanted to say a harness caused the hair under my cavapoo armpits to become tangled and become matted because of the constant rubbing. Since we changed to a collar and lead this problem has vanished..